I am so happy to report that finally, everyone in my house is on the road to recovery! That nasty little cold made it's rounds through all three of us, but in true Christmas blessing fashion, we are all going to be well in time to celebrate Christ's birth with our family! My post today is a very quick one, mainly because I am still sooooo behind on wrapping and cleaning in anticipation of our parents coming in for the weekend! I spent about 3 hours on Sunday afternoon creating 40 of these cards for my downline team and actually got them in the mail on Monday - another Christmas miracle! If you want all the card details, I've got them all for you over on Stamping 411 today for the monthly Clean and Simple feature. 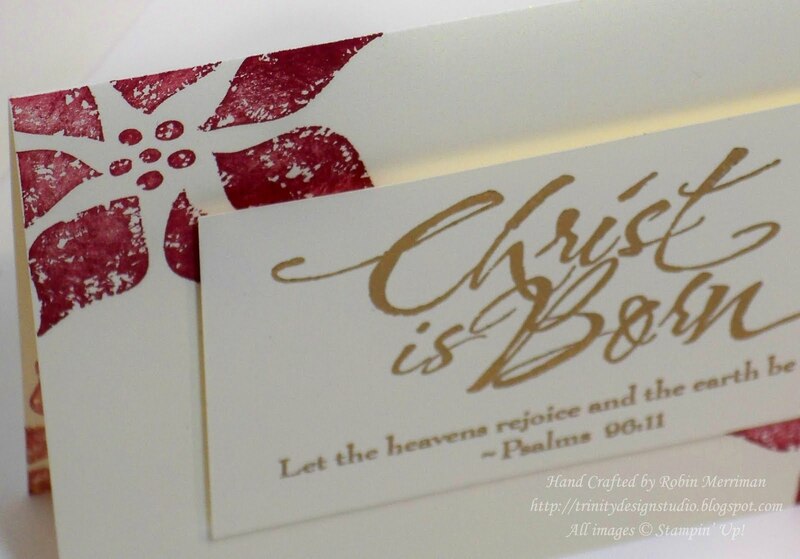 I've always loved this stamp set - Christ is Born - and love how it's elegant simplicity is all you need to really share what the true meaning of this season is all about. 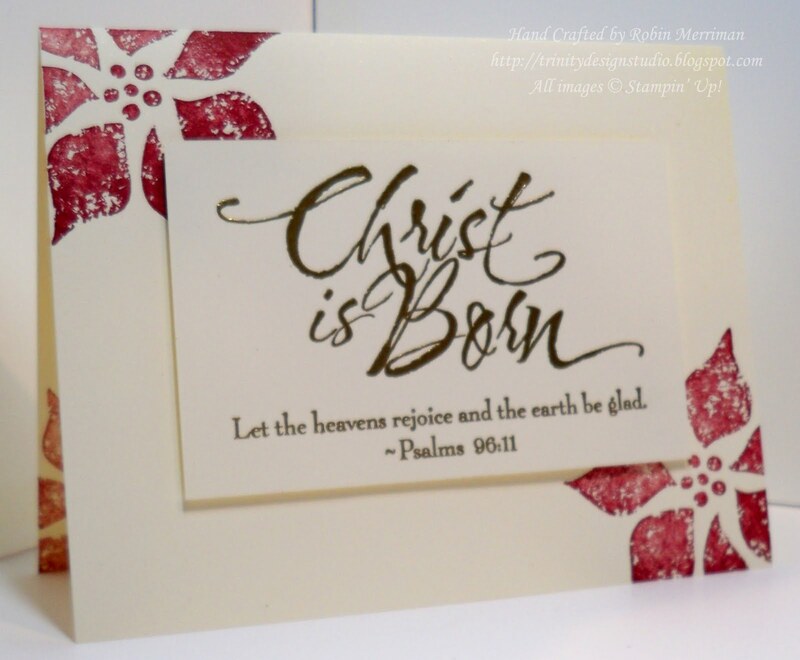 I love how the simplicity of this card reflects how Jesus was willing to give up his throne in heaven and come to earth, humbly and simply in order to be the salvation of the entire world. Gold for his royalty, cream for his purity and red for his precious blood, there has been no greater gift to us in all of history. Stamped blessings to you and yours today!